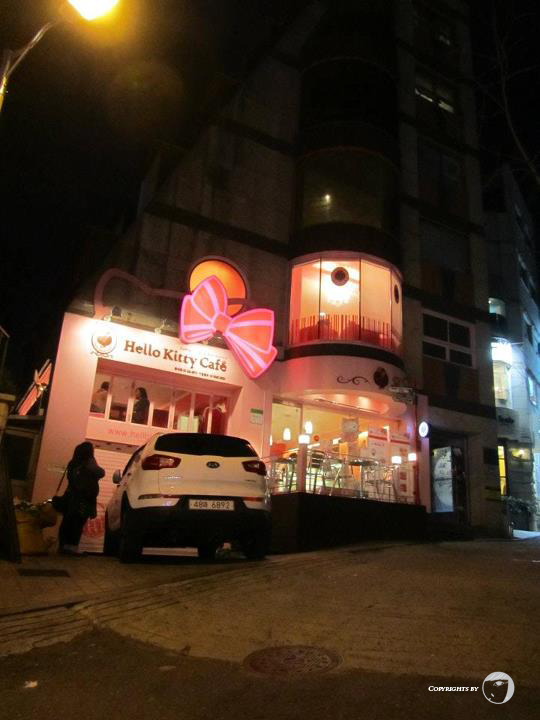 We went to Hongdae to visit the Hello Kitty Cafe. There is another outlet nearby, at Sinchon, which is one station away from Hongdae. I forgot why we decide to visit Hongdae’s one, but I heard the it is the larger one. From Hongik Univ station, we took exit #9. While we were searching for the direction, we passed by Baskin Robbins! It’s my favourite ice cream! The BR ice cream here has more flavors compared to Singapore, Malaysia and Indonesia. And it’s cheaper too. Who can resist the temptation? So we grabbed our ice cream despite of the cold weather. 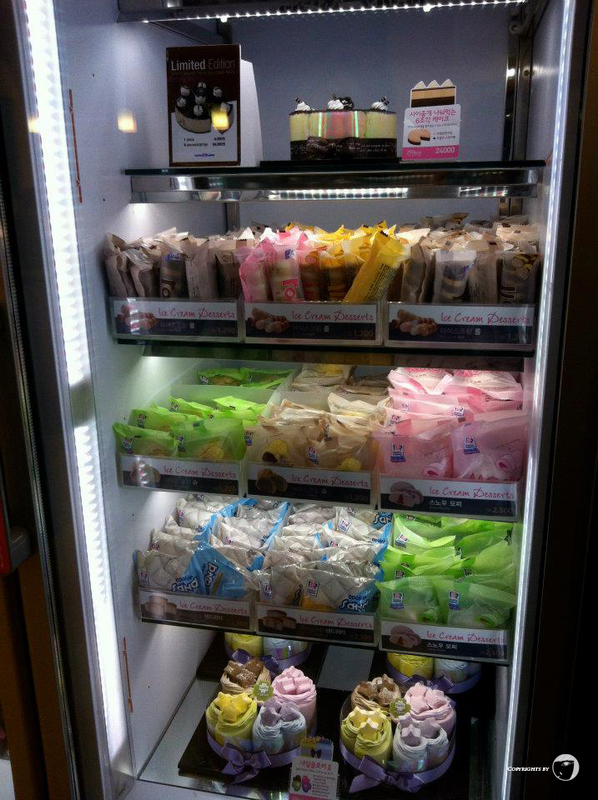 In fact, many people said “The best weather to eat ice cream is in the cold weather”. Since we kept walking around, we decided to ask the sales person of Tony Moly. Lucky, she can speak chinese! So she told us the direction to the cafe and finally we found it! Obviously since it is a themed cafe, the interior of the cafe is in pink. I’m not a fan of the character. However, I was carried on the excitement of my friends. I saw their menu and they have Sweet Potato 고구마 Latte. I was curious how it tastes like, so I decided to try. 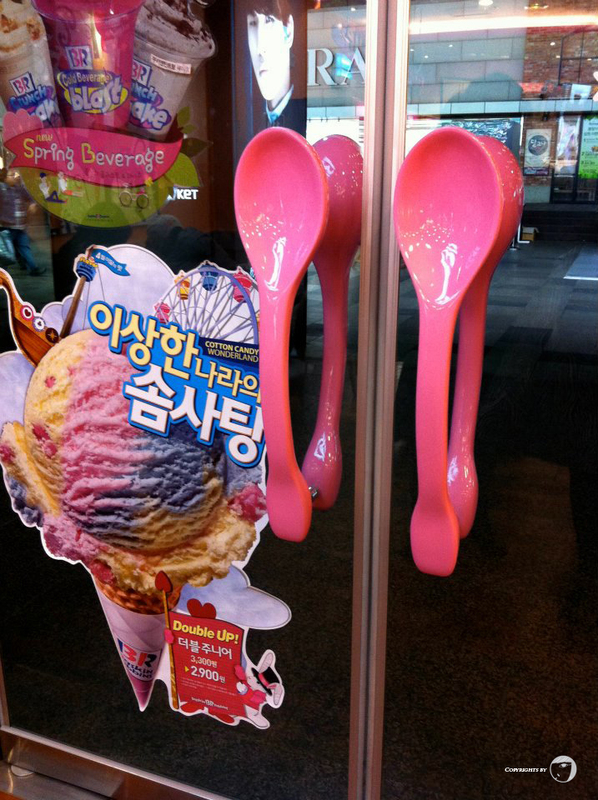 Quite nice and you can taste the goguma flavor too..
Take train to Hongik Univ Station (Seoul Subway Line 2), Exit 9. Walk straight to the 1st traffic light and turn left. You will see Tony Moly and turn right after that. Keep watching your left side. The cafe is situated at the alley.